We all remember losing our teeth as children and being delighted to find money from the tooth fairy under our pillow, but it’s just not as fun as an adult. According to the National Institute of Dental and Craniofacial Research, adults between the ages of 20 and 64 have an average of 25 permanent teeth remaining, which is three shy of a full set (minus wisdom teeth). Dr. Marissa Miller wants everyone in Shelby to know that replacing a missing tooth is important to your dental health. Read on for more information and please give Discovery Dental a call with any questions or concerns. When people lose teeth in movies it’s usually from something high-impact and exciting, like getting kicked in the face. However, the leading cause of tooth loss is actually gum disease. If you are a Shelby adult who has lost a tooth in the back of your mouth, you might be inclined to ignore it if it doesn’t affect your smile. 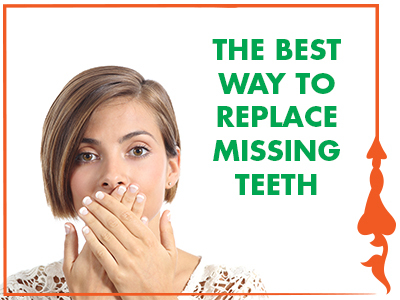 Unfortunately, missing teeth are a big problem beyond cosmetic concern. Tooth loss can affect your ability to eat and speak properly, the alignment of your teeth, the health of your surrounding teeth, and cause bone loss. Dr. Miller is an expert in replacing missing teeth with the best options for your cosmetic and dental health needs. If you are missing one or more teeth, there are a number of options, such as fixed and removable bridges, dentures, and implants. Currently, dental medicine and research favor implant as the best treatment option because of the longevity, strength and stability. We at Discovery Dental want you to have the healthy, beautiful smile you deserve, so come visit us and find out what Dr. Marissa Miller can do for you. Give us a call to schedule an appointment today!